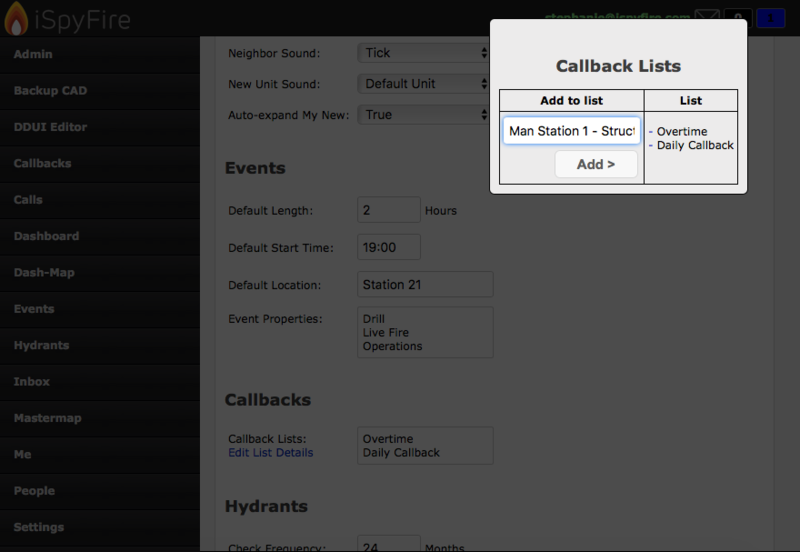 What is a Callback? How do I get started? 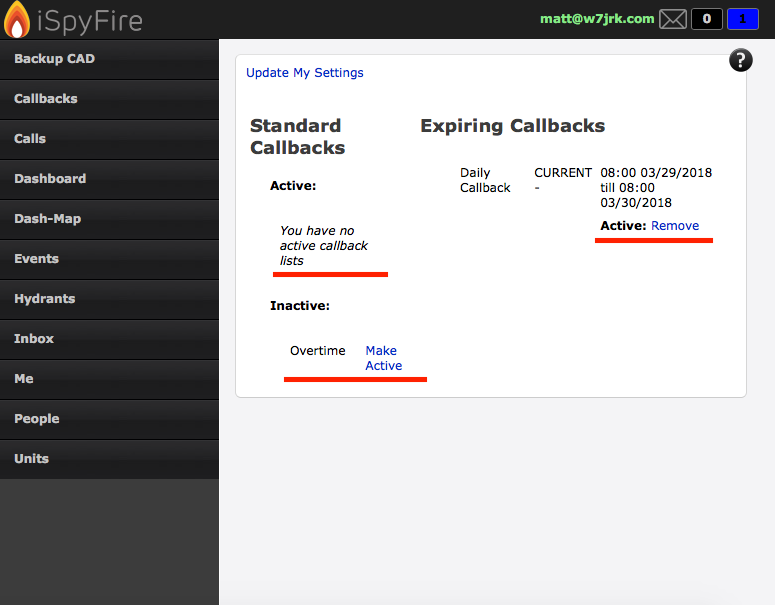 A Callback is a great way to have a "Standing/Expiring" list for overtime, as well as sending out for manning durning a large incident or for whatever your needs might be. Theses lists can be managed as a "Standing" or "Expiring" list. 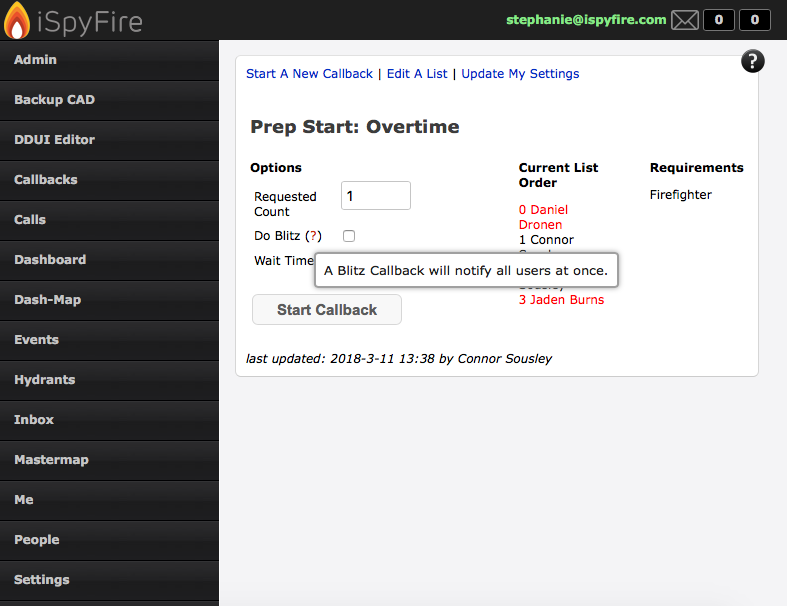 To start Callbacks you will need to go into the "Settings" tab (if you haven't already) and find "Callbacks" and create the lists you would like to have. 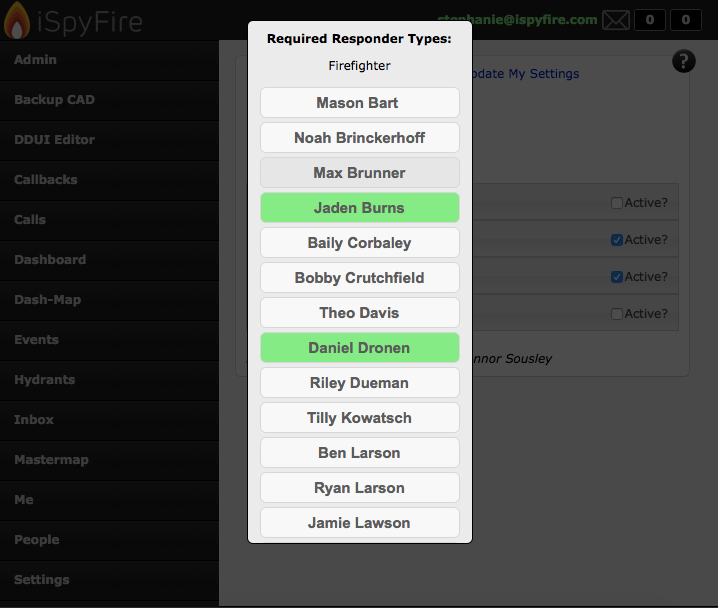 Next is setting your "Responder Types" (if you haven't already, or would like to add different one's) according to your agency. 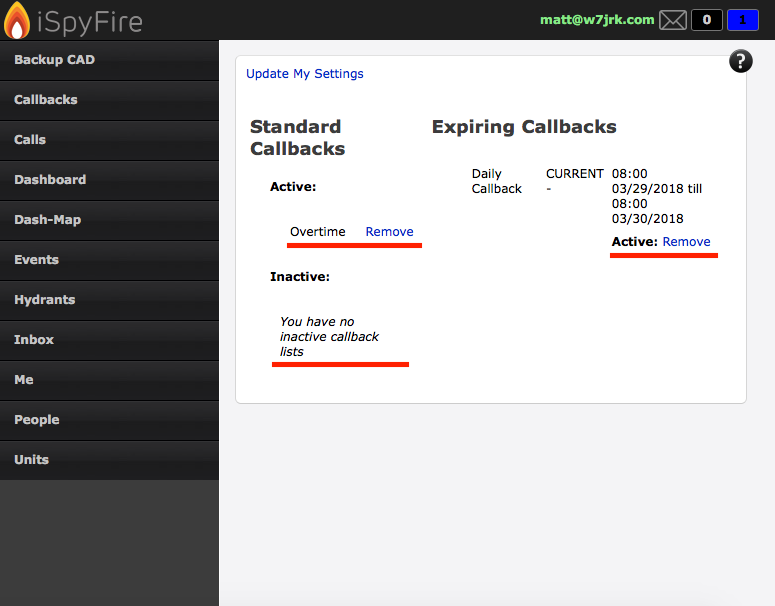 This will help when creating "Callbacks" and selecting the Response type allowing only those who are wanted like "EMTS" for example to receive the Callback. 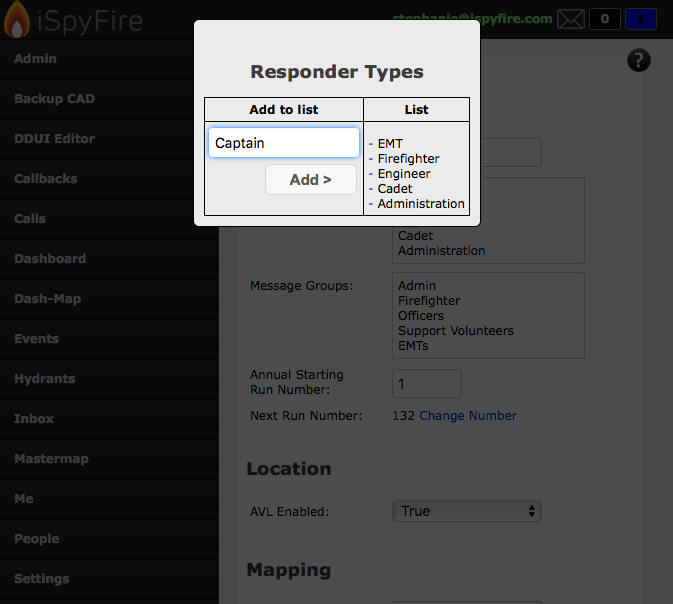 Here you can add and remove "Responder types." 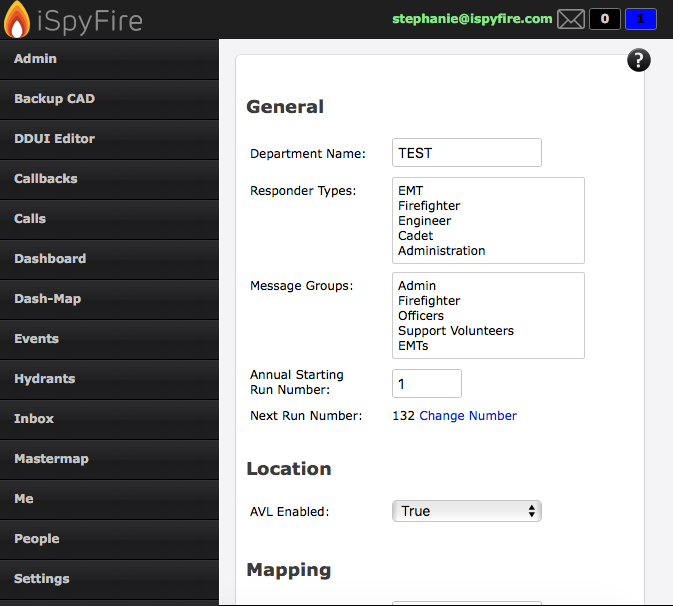 Creating a list and adding and removing "Responder types" is easy once you have selected the lists you would like to add, and Responder types set. 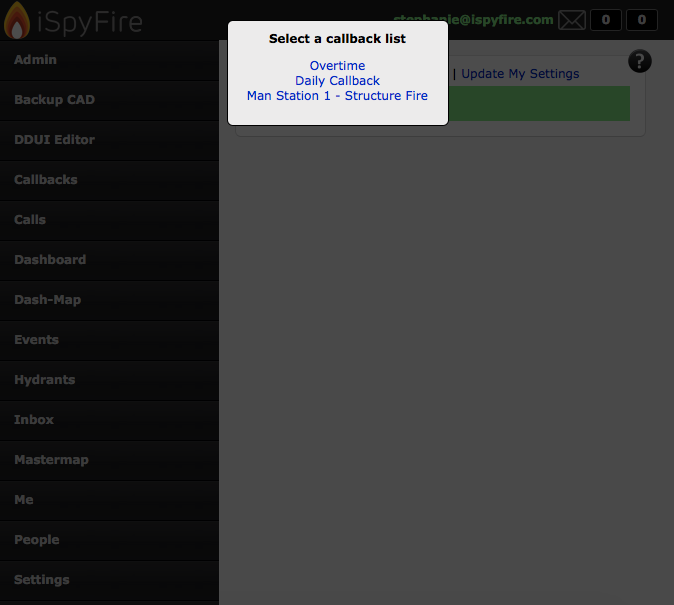 Make sure you scroll to the bottom of the "Settings" page and click "UPDATE" to save your progress. Once you are all set, go to the "Callbacks" tab. 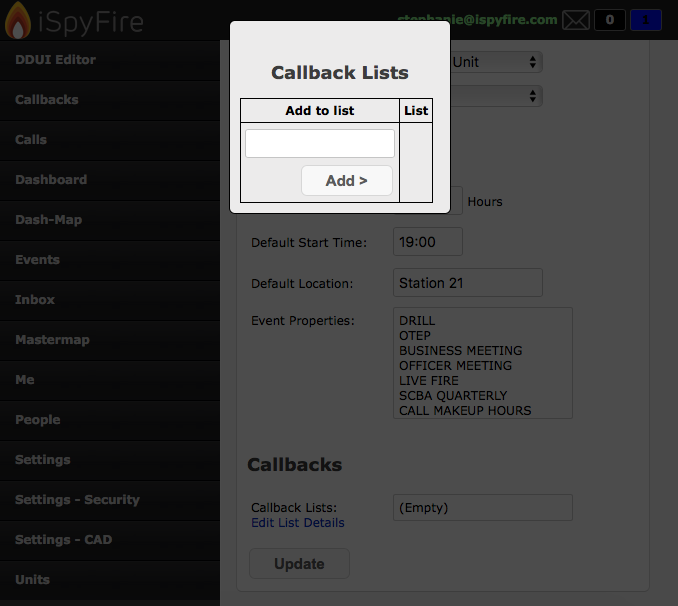 Here you can see and select a "Callback" you would like to send out. 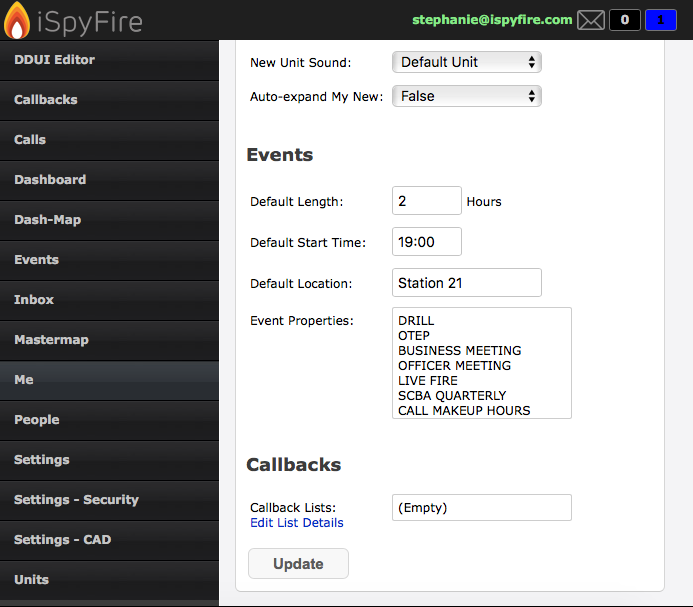 This could be used for any big incident when all personal need to be notified. 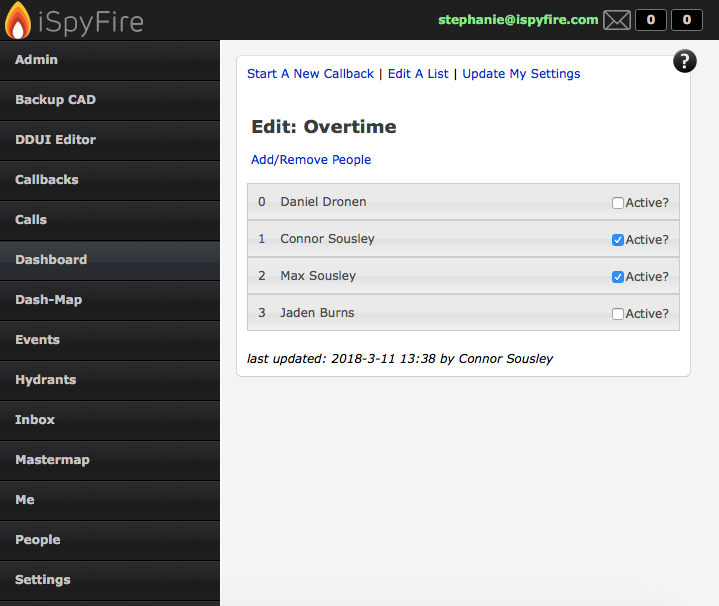 Here you can add or remove personal for the selected callback list by selecting the "Add/remove People"
The red underlined shows the one click changes that can be done from the users stand point, not for admin control. 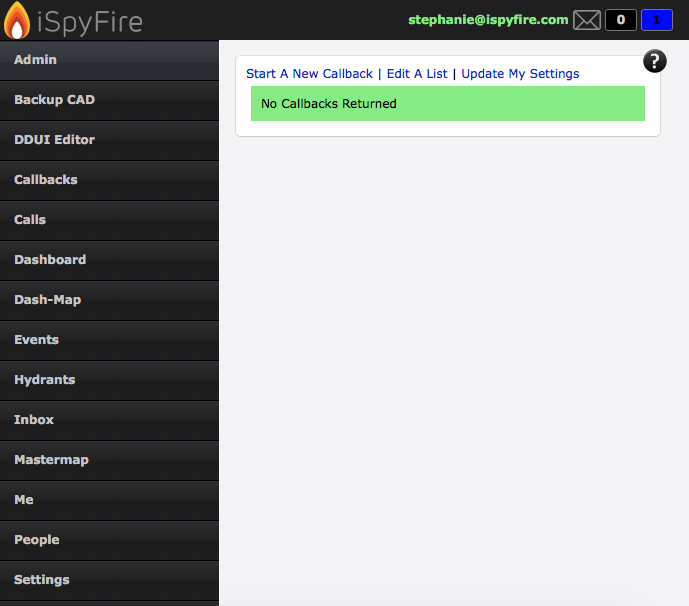 And that was a quick set up and review of the "Callbacks" Tab!